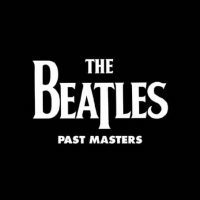 This page contains links to features on The Beatles' albums, in chronological order of release. They include the original UK releases, which have since become the established albums in the group's canon, along with various other releases such as Love, the Anthology volumes and Live At The BBC. Most of the links lead to full articles about the albums. We are aiming to complete these over the coming months, along with pages on The Beatles' US releases. At the least, all the pages contain links to articles on each of the songs on the albums. Don't forget, we also have full discographies for over 40 countries. No, because it was an unofficial release. It’s mentioned in the articles on the Red and Blue albums though. I have, believe it or not, two copies of Alpha Omega Vol. 1, but was never able to put my hands on a copy of Vol. 2. I know the songs that were on that release, but can anyone out there tell me the running order of the songs on Vol. 2? Thanks in advance. What about “a collection of oldies..but goldies” ? I was just wondering if anybody knew anything about the newly remastered Beatles albums coming out on vinyl. Is the box of singles being released for record store day a sample of what is to come or are they taken from same masters they used for the old cds? “… along with various other significant releases …” – so why do we find “Nowhere Boy: Original Soundtrack” listed here??? Just wondered why ‘Yesterday and Today’ is listed here. And would anyone agree with me that EMI were mistaken in release re-mastered stero albums instead of the original mono ones0? To get those, you have to buy the ‘Mono Masters’ boxed set. Yesterday And Today is listed because there’s a good story surrounding the album’s release. Unfortunately I haven’t got around to writing it yet, so it’s just a list of song titles! I’ll do it one day though. I don’t think EMI/Apple were mistaken in reissuing the stereo masters. It’s probably what most people want nowadays. Even though more time was spent on the mono mixes in the 1960s, it would be a bit odd if the mono remasters were what they were encouraging people to buy. However, it might have been nice if people could buy the mono albums individually without having to get the box set, as they did with the stereo reissues. They include the original UK releases, which have since become the established albums in the group’s canon, along with various other releases such as Love, the Anthology volumes and Live At The BBC. so why have you included us releases and nowhere boy soundtrack? it is a confusing list with a less than well researched approach and a casual attitude. younger people, probably around your age, will see this and take it as folklore. Sorry you don’t like my site and attitude. Other websites are available – perhaps you could visit those instead. Your manner is also a little patronising. “They include” does not equate to “They are limited to”. I’ve addressed the Nowhere Boy inclusion elsewhere in this comments section, not that I have to justify any of this. I think ‘Hey Jude’ was originally released in the USA just before the band split, and came out in the UK in the 1970s. It’s possible EMI released it over here because of demand for imports. (They released ‘If I Fell’ as a single over here in early 1965 for the same reason, though it never charted). Overwhelming, that’s the least I can say about your site. After having collected abt. 350 albums and over 1 TBytes video material I thought I knew a little bit of this group, how wrong can one be. Congrats on your site, I learned much ! Just a few that have been missed out. Did I miss anything …..? Only really notable compilations are included. But people would like to discuss all these albums. All legit albums should be up for discussion. That’s what the forum is for, no? Speaking of albums, I just read an on-line article about a compilation set called “I Saw Her Standing There”, which is comprised of Hamburg-era tracks, 1962-era BBC tracks, live Cavern material and all of the Decca tracks not issued on Anthology 1, supposedly digitally re-mastered, etc. Does anyone else know anything about this set and is it legit??? I have not heard about that album. However, it has been announced that an American album box set is being released on CD on Jan 21 here in the U.S. Jan 20 elsewhere. 13 CDs’in both mono and stereo. Except for Hey Jude and The Beatles Story which will only be in stereo. All with replicated art work. Was “Introducing…The Beatles” the first album edited in the U.S or was “Meet The Beatles”? The Four Seasons were featured on several labels, (including Vee-jay ) during their career but they were never a Motown group. The only white singer that recorded for Motown, as far as I can remember, was Bobby Darin. Does anyone know why The Beatles at the Hollywood Bowl has not been released on CD? Or if there are realistic prospects that it will be so released in the future? Are any of the surviving Beatles or the wives of Lennon and Harrison vetoing such a release? I have a CD of Live At the Hollywood Bowl. You can find it. On Amazon through Asia. Decent audio quality, like the LP (album), good packaging, and reasonably priced. Bill, thanks for that information. I will be purchasing this in the near future. However, do you or anyone else know why it isn’t available in record stores in the US or apparently in Britain or through US or UK. Amazon? It isn’t a bootleg, is it? Joe, I have a couple of questions. Why is the soundtrack for Nowhere Boy listed as a Beatles album? And also, couldn’t the Beatles Bootleg Recordings 1963 be considered an “album” worthy of listing? Regarding the Nowhere Boy OST, I got tired of being repeatedly asked the same question (and people not reading previous comments) so I removed it from the list. The article is still here. I’ll add the 1963 bootlegs when I get round to writing about them properly. Not sure why, actually. I have also seen what appear to be legitimate Dvds of LET IT BE available, though pricey. Perhaps someone has found a licensing loophole. Or just excellent Chinese illegitimate copies. Where is the Rariities album? And what about the great compilation albums? Hi. I have a copy of almost all The Beatles albums both U.S version and U.K.version. I have the “Hollywood Bowl” in vinyl and Capital put out the album. It was made to make you feel what it was like at a Beatles concert. January 1977 was the first issue (CAPITAL-11638). I’m sure it’s still out there and with someone wants to sell it. The songs are recordings of The Beatles at the Hollywood Bowl during their 1964 and 1965 tours..
according to riaa the following singles are certified sales and not claimed sales- #1 I want to hold your Hand 12m- #2 hey jude 8M – #3 Cant Buy me Love 7M #4 She loves you their biggest selling Album i s sgt Pepper 23M and total sales of everything is 600M+ claimed and 257M+ certified. Most valued Beatles albums – a friend of my dad past away and while they where gatheing his stuff they came across some old albums and single releases these are in mint condition still in there covers never played or opened. and had them appraised in New York–64 VeeJay Anna ask me why $30,000 62 Decca 45 My Bonnie(as tony sheridan & beat brothers $12,000 66 Capitol lp Yesterday & Today (butcher Cover) $15,000 68 savage lp yellow and orange cover $1500 65 Capitol LP Ribber soul(mono) $750 69 Capital day tripper(red & white) $1000 the ones he thought where worth great vale sgt peppers abbey road the white room and all others not very much $200 – $400 because of mass production. The Beatles have released BBC material on four different sets (Live at the BBC, Anthology 1, On Air – Live at the BBC Volume 2, and The Bootleg Recordings 1963. None of them feature Pete Best as no BBC recording earlier than January 1963 has been officially released. All drumming on the official releases of BBC material is by Ringo. Call me Beatles nuts, but I believe the order of these albums on this page should be in canon order, not alphabetically. And if “Live! At The Star-Club in Hamburg in Germany 1962” is in there, certainly “Oldies But Goldies” should be in there too. It was after all, the only U.K. Greatest Hits Parlaphone LP during their tenure. “Yesterday And Today” just does not belong with U.K. LPs, great story or not! finest with a perfect mix of upbeat rock n roll with maturing lyrics. John in particular shines with aongs like You’ve Got To Hide Your Love Away, Ticket To Ride, You’re Gonna Lose That Girl etc. not to mention the title track itself. This is my favorite album along with With the Beatles and A Hard Day’s Night. It just never gets old. I wouldn’t put Help! in the top half of their 11 odd main releases. It has grown on me though so that may change. I may eventually like it as much as Rubber Soul. PS I’m also a Lennon-Harrison fan. They should have more co-writing besides Cry For A Shadow and a few one liners on Taxman. Cheers guys. The Beatles Love Songs compilation, I received for Christmas 1977.My first Beatles album, it is of course a double. I loved it and I still love the Beatles. I can’t believe the amount of hate and crap you’re getting from people who will probably never expend the energy to create a website with the wealth of information you have but have no problem logging in and spending five minutes composing a comment to just put you down. Kuddos to you on a great website. Hey, thanks for the kind words! And I never really feel like I’m getting hate or crap from people – there’s the occasional nutter, but most Beatles fans are obviously really cool! Ditto that! The real crap seems to come from know-it-allls who weren’t there, don’t know the subjects (the Beatles and associates), and haven’t done any real research. ( as Joe so obviously has). Sometimes it;’s funny, but most of the time it’s annoying. Joe puts up with it far better than I would. I can’t say Thanks enough for the time and effort put into this site. I grew up on The Beatles and still listen to them more than any music. I find myself at this site ALL THE TIME and have learned much. THANKS THANKS THANK YOU !!!!!! I don’t see “Something New”, “Beatles ’65”, “Beatles VI”, “Yesterday and Today”. What’s up with that? Joe, Absolutely LOVE your site! Keep up the great work….. I visit often and always find out something new and exciting about our beloved Fabs. Joe, what do you know about the Mersey Beat series of CD’s out of Japan that preceded the US release of the Beatles CD releases in the US. I own the Remastered CD’s (I dearly love them) I can’t imagine listening to them on Vinyl again. The experience of hearing the taps as if I were in the studio without the background noise of surface distortion from the needle on the Vinyl ruins the experience for me. P.S. I was born the day they recorded Please Please Me.